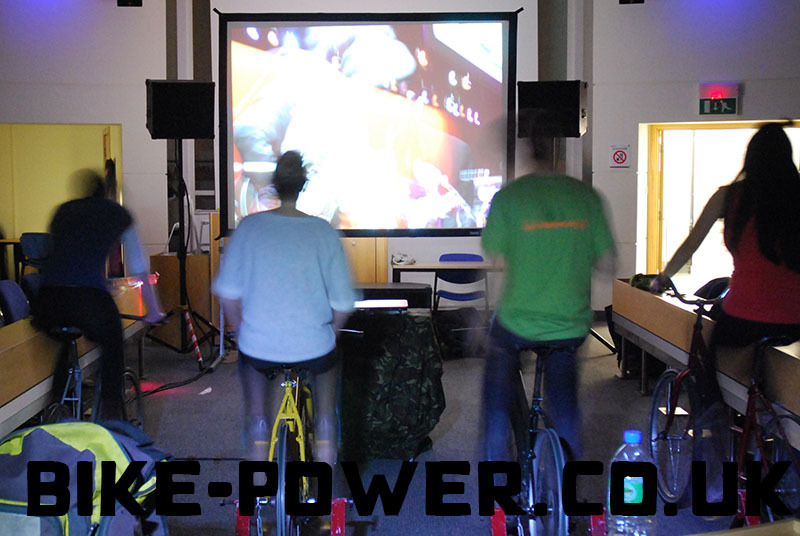 Using 4-8 bikes we can power a 2500lumen LED digital projector capable of filling our 8ft by 6ft screen with a crisp HD image. We can also project onto larger screens depending on how dark the area is. 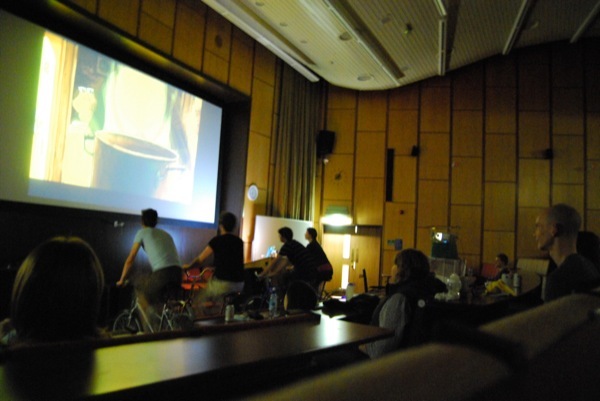 By hiring from us you get to take advantage of our high powered bike generators and of course the cinema setup comes with our hyper efficient small or medium PA systems to keep everything as easy as possible for the cyclists. All you need is a film license and somewhere with low light levels and you can have a pop up cinema entirely off grid with no electrical storage required! It’s inherently difficult to take a good photograph of a cinema as the light levels are so low and the video itself moves during a film, making a blurred effect. This is to be expected. Projectors can’t project darkness. Only an absence of light. We don’t want to mislead anyone so we haven’t gone Edward Scissor Hands in Photoshop on these images the images on this page have not been altered besides branding. You can see the image shows up well in the photo below despite the lights by the bar and the fact that it is light outside. 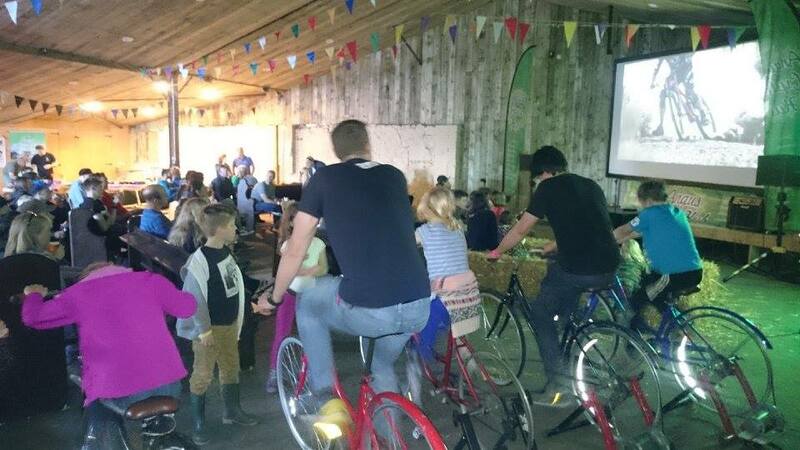 For a pop-up cinema pedal power or even our compact Solar-power system are the ideal solution. Avoiding the smell and noise from a petrol generator. Improving the air quality and encouraging exercise! Just Get in touch for a quote and to discuss your options.